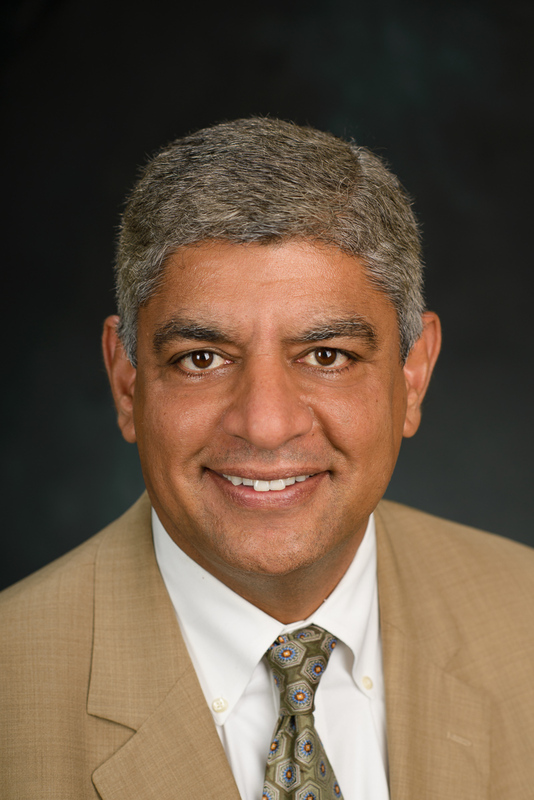 Dinesh Verma is the Executive Director of the Systems Engineering Research Center (SERC), the first University Affiliated Research Center established by the DoD for Systems Engineering Research. He also serves as the Scientific Advisor to the Director of the Embedded Systems Institute in Eindhoven, Holland. Prior to this role, he served as Technical Director at Lockheed Martin Undersea Systems, in Manassas, Virginia, in the area of adapted systems and supportability engineering processes, methods and tools for complex system development and integration. Before joining Lockheed Martin, Verma worked as a Research Scientist at Virginia Tech and managed the University’s Systems Engineering Design Laboratory. While at Virginia Tech and afterwards, Verma continues to serve numerous companies in a consulting capacity, to include Eastman Kodak, Lockheed Martin Corporation, L3 Communications, United Defense, Raytheon, IBM Corporation, Sun Microsystems, SAIC, VOLVO Car Corporation (Sweden), NOKIA (Finland), RAMSE (Finland), TU Delft (Holland), Johnson Controls, Ericsson-SAAB Avionics (Sweden), Varian Medical Systems (Finland), and Motorola. He served as an Invited Lecturer from 1995 through 2000 at the University of Exeter, United Kingdom. His professional and research activities emphasize systems engineering and design with a focus on conceptual design evaluation, preliminary design and system architecture, design decision-making, life cycle costing, and supportability engineering.In addition to his publications, Verma has received one patent and has two pending in the areas of life-cycle costing and fuzzy logic techniques for evaluating design concepts. Dr. Verma has authored over 100 technical papers, book reviews, technical monographs, and co-authored two textbooks: Maintainability: A Key to Effective Serviceability and Maintenance Management (Wiley, 1995), and Economic Decision Analysis (Prentice Hall, 1998). He is a Fellow of the International Council on Systems Engineering (INCOSE), a senior member of SOLE, and was elected to Sigma Xi, the honorary research society of America. He serves an a member of the External Advisory Board on Systems Engineering at SAIC, on the Systems Engineering Advisory Council (SEAC) of the Systems and Software Consortium, and the Advisory Board of the Center for Systems Engineering at the Air Force Institute of Technology. Executive Director of the DoD funded Systems Engineering Research Center, the first University Affiliated Research Center focused on Systems Engineering Research in the United States. Inventors: Verma, D. and L.H. Johannesen; Supportability Evaluation of System Architectures; Application Submitted. Inventors: Myers, K., D.A. Mroczek, J.D. Beckley, Q.A. Nguyen, G. Plunkett, and D. Verma; Collaborative Engineering Environment for Product Centered Lifetime Support; Number: 631,694; August 1999; Patent Pending. Inventors: Myers, K., J.D. Beckley, G. Plunkett, and D. Verma; Multi-Disciplinary Information Engine for Total Ownership Cost Estimation of Complex Systems; Number: 577, 039; May 1999; Patent Pending. Inventors: Verma, D. and C. Smith; Weighted Wedge Defuzzification for Conceptual System Design Evaluation; Number: 518,213; March 1999; Patent Pending. D. Verma. (1999). "Identification of Inconsistencies and Strategic Opportunities within a Quality Function Deployment (QFD) Matrix: An Expert System Based Approach", Communications in Dependability and Quality Management, 2 1. D. Verma and W.J. Fabrycky. (Apr 1997). "Systematically Identifying System Engineering Practices and Methods", IEEE Transactions Special Edition on Systems Engineering. D. Verma and J. Knezevic. (Aug 1996). "Application of Fuzzy Logic to Address System Supportability Synthesis and Analysis During Conceptual and Preliminary Design", Communications in RMS, 3 1. D. Verma, C. Smith, and W. J. Fabrycky. (Dec 4, 1999). "Fuzzy Set Based Multi-Attribute Conceptual Design Evaluation", Journal of the International Council on Systems Engineering, 2 4. D. Verma, R. Chilakapati and W. J. Fabrycky. (Dec 1998). "Analyzing the Quality Function Deployment (QFD) Matrix: An Expert System Based Approach to Identify Inconsistencies and Opportunities", Journal of Engineering Design, 9 (3). D. Verma and J. Knezevic. (Oct 1996). "Development of a Fuzzy Weighted Mechanism for Feasibility Assessment of System Reliability During Conceptual Design", International Journal of Fuzzy Sets and Systems, 83 2. D. Verma and L.H. Johannesen. "An Evaluation Framework for System Architectures", Journal of the International Council on Systems Engineering. D. Verma and C. Smith. "Investigation of Defuzzification Techniques for Conceptual Design Evaluation", International Journal of Smart Engineering System Design. D. Verma and B. Gallois. (Aug 2001). "Graduate Program in System Design and Operational Effectiveness (SDOE): Interface Between Developers/Providers and Users/Consumers", International Conference on Engineering Design (ICED 2001), Glasgow, UK. .
D. Verma and L. H. Johannesen. (Jul 2000). "Supportability Assessment and Evaluation during System Architecture Development", Proceedings, International Council on Systems Engineering (INCOSE), Minneapolis, MN. D. Verma and G. Plunkett. (Jul 2000). "Systems Engineering and Supportability Analysis: Technology Refreshment for COTS-Intensive Systems", Proceedings, International Council on Systems Engineering (INCOSE), Minneapolis, MN. D. Verma, C. Smith, and W. J. Fabrycky. (Aug 1999). "Accelerated System Concept Assessment and Selection Through Weighted Wedge Defuzzification", International Conference on Engineering Design (ICED 99), Munich, Germany. W. J. Fabrycky, B. S. Blanchard and D. Verma. (Jun 1999). "Simultaneously Considering Life-Cycle Cost and Effectiveness for System Design Evaluation", Proceedings, International Council on Systems Engineering (INCOSE), Brighton, United Kingdom. K. Myers and D. Verma. (Jun 1999). "System Design to Affordability in a Collaborative Systems Engineering Environment", Proceedings, Symposium, International Council on Systems Engineering (INCOSE), Brighton, United Kingdom. T. Powers, W.J. Fabrycky and D. Verma. (Aug 1997). "A Hybrid QFD/AHP Methodology to Support Conceptual Design Decisions", Proceedings, International Conference on Engineering Design (ICED 97), Tampere, Finland. D. Verma and W. J. Fabrycky. (Aug 1995). "Development of a Fuzzy Requirements Matrix to Support Conceptual System Design", Proceedings, International Conference on Engineering Design (ICED 95), Prague, Czech Republic.